Last night at the Tire Technology Expo 2017, staged in Hanover from February 14-16, Continental was honoured by UK-based trade journal “Tire Technology International” with its Tyre Manufacturer of the Year award, first presented in 2008. With this award, the high-calibre panel of 27 judges, including experts from Europe, Japan, India and the United States, honoured the investments that Continental has initiated over the past twelve months. “We are very excited about this award because it appreciates several technology projects and innovations that we have already realised, working consistently within the scope of our Vision 2025 long-term growth strategy,” said Nikolai Setzer, member of the Executive Board of Continental AG responsible for Corporate Purchasing and head of the Tyre division, the world’s fourth largest tyre manufacturer with sales of more than 10 billion Euros. Among Continental’s innovations that persuaded the judges were the opening in June 2016 of the High Performance Technology Centre in Korbach, Germany; the Taraxagum project that involves setting up a research centre in Anklam, Germany, for the industrialisation of natural rubber from dandelion roots; and production of the first ever truck tyre with tread made of dandelion rubber. The judges also mentioned the announcement of a research and development centre for agricultural tyres in Lousado, Portugal, and the expansion of Continental’s truck tyre production operations in Otrokovice, Czech Republic. “Consumers of everything from ultra-high performance tyres to agricultural ones, in markets from Europe to China, will benefit from Continental’s outstanding commitment to investment in research and development, testing and manufacturing in the past 12 months. Congratulations to our Tyre Manufacturer of the Year!” said Graham Heeps, editor, Tire Technology International and chairman of the judging panel. 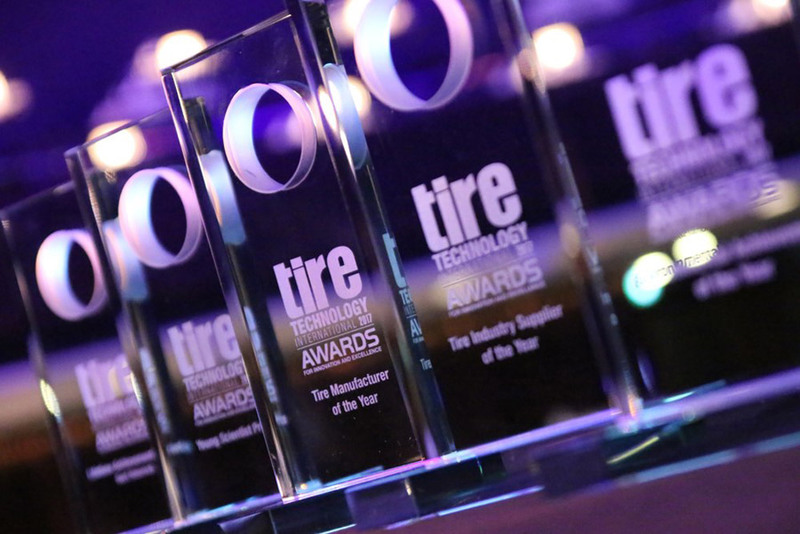 This annual award for innovation and excellence honours particularly bright ideas and the hard work put in by the tyre design and production industry. Candidates are either nominated by the readers of Tire Technology International or put forward by the editorial staff. The independent panel of experts then votes to choose the winners. In the context of its Vision 2025, since 2011 Continental has already invested more than 3 billion EUROS in the construction of new production plants in Hefei (China), Kaluga (Russia) and Sumter (South Carolina/ USA). Thereafter, 350 million euros per year has been invested in expanding the Corporation’s existing plants around the world. Along with the construction of Continental’s unique Automated Indoor Braking Analyser (AIBA) at the Contidrom proving grounds, the opening of the High Performance Technology Centre (HPTC) at the Korbach, Germany plant caused quite some attention. Through the smart networking of all its production machinery, the HPTC generates new findings virtually in real time. These are then communicated to Continental’s tyre production plants around the world to drive further improvements in efficiency and effectiveness. In 2016 for the first time ever Continental produced a worldwide total of more than 150 million passenger car and light truck tyres, while at the same time achieving a much better regional balance between EMEA, The Americas and APAC in terms of production and sales. As a result, Continental is firmly on course to realise its Vision 2025. Incidentally, the expert judging panel at Tire Technology International reached the same conclusion before when Continental was also named Tyre Manufacturer of the Year in 2014. At the same time Continental was honoured with the innovation award for tyre production for its so called ContiLifeCycle plant in Hannover-Stoecken that convinced the experts due to its integrated approach of combining hot and cold retreading with a rubber recycling facility which still is unique globally today.